garage. Sunbathe at the oceanfront pool or on the sandy beach. and go out of our way to make our guests feel at home. well as FREE DSL high speed Internet access. The best snorkeling and diving in Hawaii. Volcanoes National Park. Helicopter rides. Theaters and Movies. Sport Fishing for the BIG ones. May 1 to Nov 30  $140/night. SPECIAL --$119/night if booking within 30 days of arrival! 3rd & 4th person $5 extra per night. 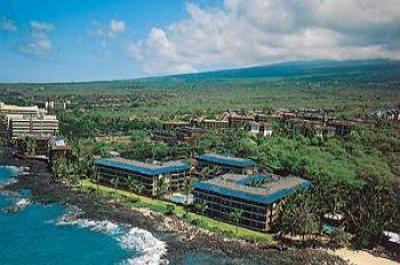 Hawaii taxes on all stays. There is a $75 Cleaning Fee on all stays. stay if the unit is returned as received except for routine cleaning. Payment in Full is due at least 30 days prior to arrival. Refunds for cancellations will be made only if the dates can be re-booked.